Habinteg’s 40th Anniversary theme - Building Homes, Forging Communities - continues apace with the handover of new homes in Dundonald. 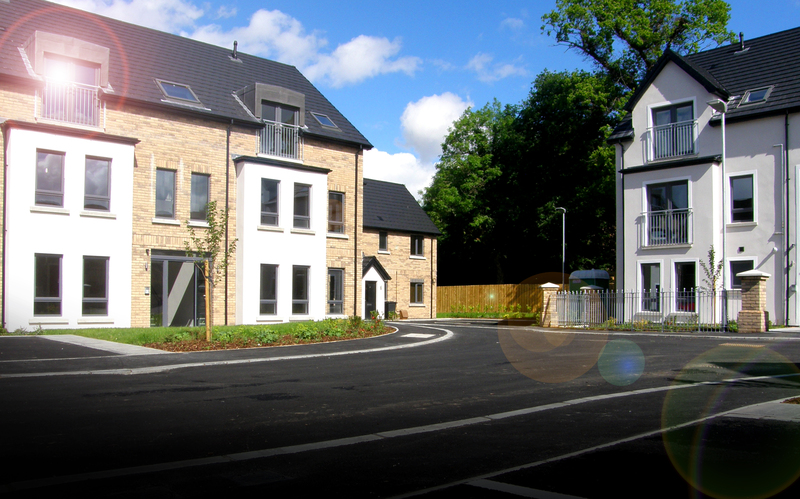 An investment of £3.3million in this high quality development by Hagan Homes provides for 30 households in seven stylish apartment blocks across a 1.6 acre site. 720-728 Upper Newtownards Road is one of a number of exciting projects taking place in Habinteg’s Anniversary year. Close to retail, leisure and transport facilities, alongside the Ulster Hospital, the development provides a mix of general needs and active elderly accommodation in a sensitively landscaped environment. In a period of ambitious growth for the Association it provides yet more much needed quality, affordable housing for people of Northern Ireland. Darren McKinney, Chief Executive, Habinteg, said “The purchase of these properties helps us realise our vision through reducing the housing need in this area and strengthening the community by providing ‘Homes for All’.